The leaks below encompass news from January 12th to January 18th, 2019. The release of Google’s Pixel 3 Lite seems to be right around the corner. A new review revealed the unannounced phone in a wisteria purple-like colour. According to the leak, the handset will feature a plastic body, a single front-facing camera, a lone bottom-facing speaker and a 3.5mm audio jack. The phone is also set to feature a 5.56-inch display, 1,080 x 2,160 pixel resolution, Snapdragon 670 processor, 32GB of storage, 4GB of RAM and 2,915mAh battery. For more on the Pixel 3 Lite leak, click here. Two recently discovered patents suggest the Pixel 4 could feature an all-screen design. 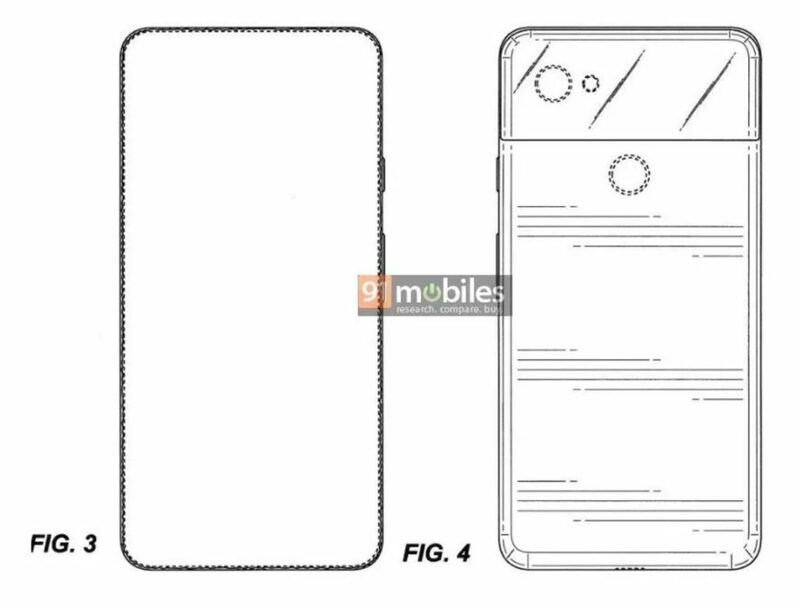 The first patent reveals the phone’s screen will feature an all bezel design, with a single rear-facing shooter and a fingerprint scanner. The second patent shows the phone will sport two front firing speakers. For more on the Google patents, click here. The Samsung Galaxy S10+ has allegedly been spotted in the wild. An image of the phone was posted by Reddit user ‘hissick27‘ who observed that the phone featured an oval-shaped, in-display camera cutout with two selfie sensors. hissick27 spotted a handset in the wild that looks similar to renders of the Samsung Galaxy S10+. Samsung’s rumoured 5G device will reportedly sport an in-display fingerprint scanner, 1TB of storage, a 5,000mAh battery and 10GB of RAM. Additionally, the handset is tipped to include six cameras — two selfie shooters and four on the rear — and a 6.7-inch Super AMOLED display. For more on the 5G S10, click here. A Samsung Galaxy S10+ benchmark leaked this week showing off a phone with 6GB of RAM and a Snapdragon 855 processor. For more on the Galaxy S10+ benchmarks, click here. Samsung will reportedly launch 10 Galaxy A series handsets in the first half of 2019. However, most of these devices will launch in markets in Asia only. For more on the Galaxy A series launches, click here. A render of the iPhone 11 based on “100 percent legit prototypes” has surfaced online. 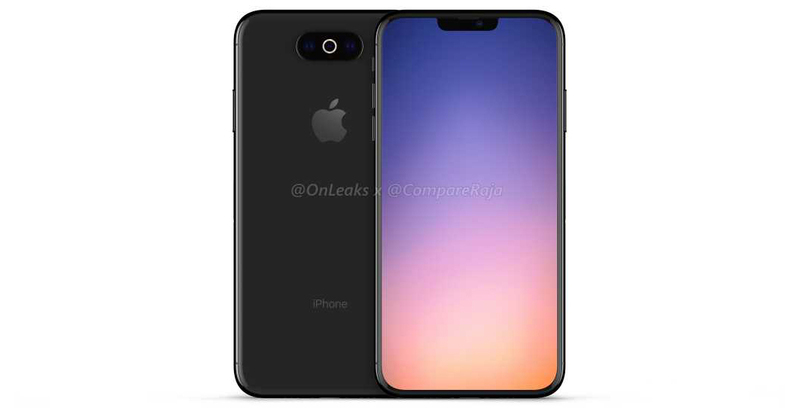 The leak showcases an the iPhone 11 with a centred horizontal triple camera setup located on its back. The front of the smartphone features thin bezels and looks similar to the iPhone XS Max. For more on the iPhone leak, click here. LG will reportedly launch a device with a modular secondary screen attachment. The second display will reportedly attach to the phone like a case, according to the leak. Additionally, the rumour suggests LG will unveil this handset at Mobile World Congress 2019 in February. A new LG G8 related rumour suggests the phone will sport a 6.1-inch display, 19.5:9 aspect ratio, iPhone X-like notch, USB-C port and 3.5mm headphone jack. Additionally, the handset will reportedly feature four cameras, including two on the front and two on the rear of the device. For more on the LG G8, click here. An alleged photo of the OnePlus 7 has appeared online. The photo shows a phone with no bezels at the top. The handset also has no visible notch, suggesting that the device might use a sliding mechanism for its selfie camera. 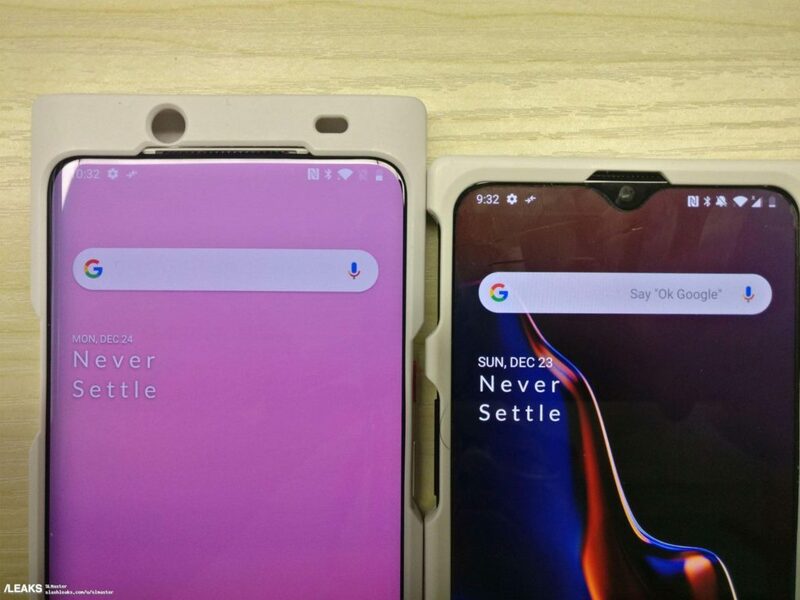 In the leaked image, beside the alleged OnePlus 7 is a device with a waterdrop notch. This OnePlus handset looks similar to the OnePlus 6T, though it seems to feature even thinner bezels. For more on the leak, click here. For more on the Vivo announcement, click here. The Nokia 9 PureView is on its way. The latest rumour surrounding the phone showcase its fingerprint unlock animations. The Nokia 9 will reportedly launch in early to mid-February before Mobile World Congress. For more on the Nokia 9 Pureview rumour, click here. Doogee is looking to launch a rugged smartphone with modular accessories similar to Motorola’s Moto Z. For more on the rumour, click here. 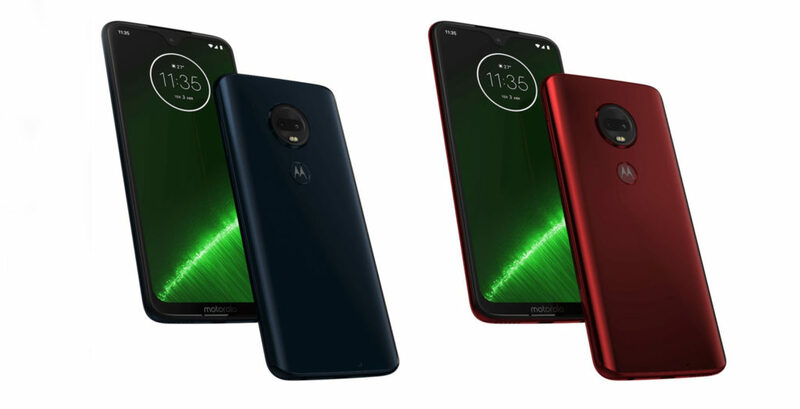 Renders of the Moto G7 series, which includes the G7, G7 Plus, G7 Play and G7 Power, have appeared online. The leak also shows off the European pricing of the G7 Play and G7 Power, and even the colours of the upcoming devices. For more on the Moto G7 series, click here.